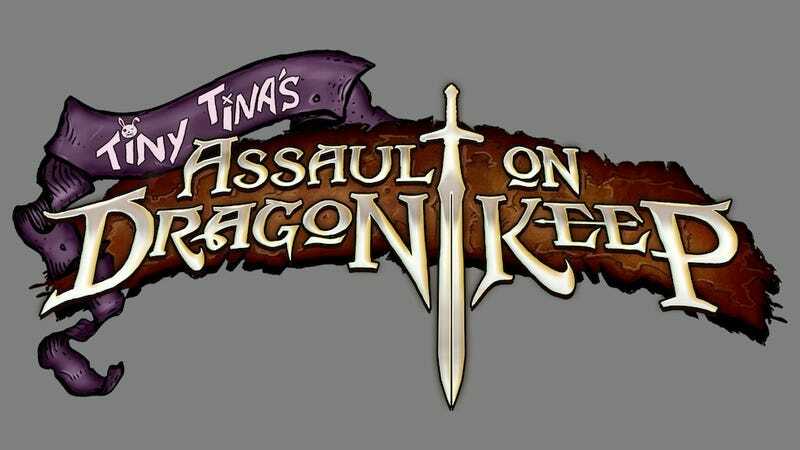 Today Gearbox acknowledged the next piece of downloadable content coming to Borderlands 2 is indeed named Tiny Tina's Assault on Dragon Keep. It's coming out on June 25, either for $9.99 (aka 800 Microsoft points) or for free as part of the Season Pass purchase. The game centers on narrator Tiny Tina, the rambunctious little teenager who loves to make things go boom. She'll set the scene—which is a board game played between the vault hunters of the first Borderlands, Tiny Tina and yourself—as you play through her quests in-game. Sort of a game within a game. I checked the DLC out last week and will have impressions and more details for you soon. For now, you can check out the intro teaser Gearbox showed off at their PAX East panel this year.